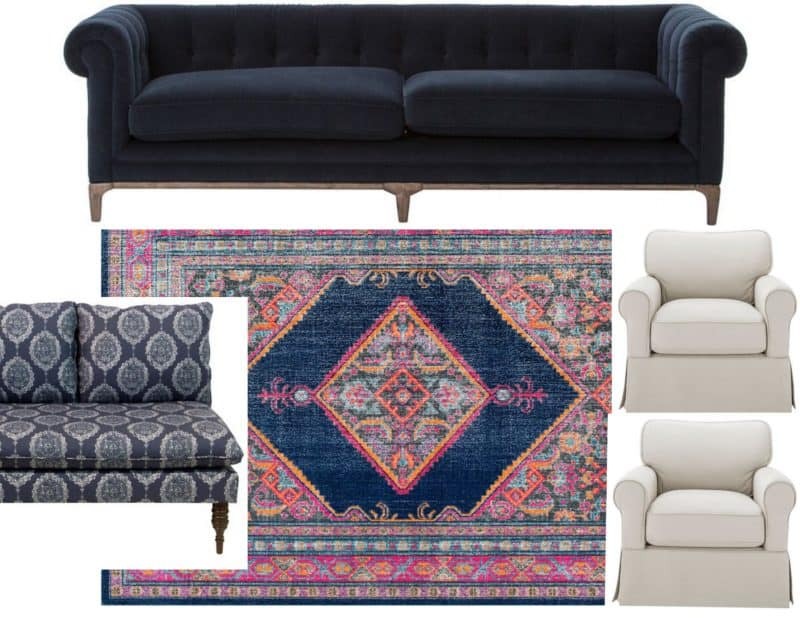 If you are in the market for an area rug, but don’t have a big budget to spend on it, don’t lose heart! 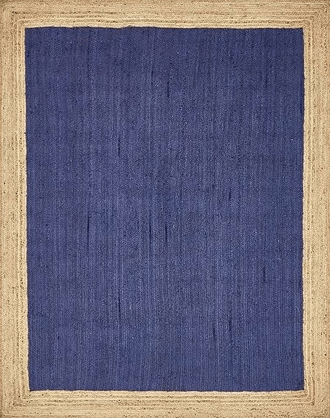 There are lots of pretty and affordable rugs on the market if you do a little digging. In the 8 years we’ve lived in our current abode we’ve gone through three rugs in our family room, and now we’re onto a fourth! We spend most of our time in this room since it has the fireplace and TV, and there is nothing that I love more than our house filled up with our kids and their friends and everyone sprawled out watching a game or a movie, and so our rugs do see a lot of action. 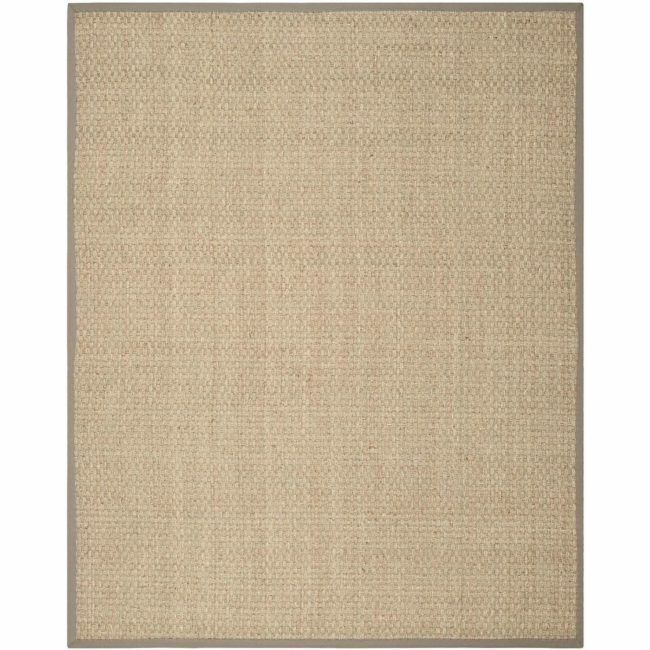 We have always bought wool or natural fiber rugs, but my mom bought this huge 10’x14′ polypropylene rug a couple years ago and while it’s thin (it definitely needs a decent rug pad) we continuously admire how lovely it is and how it wears so well, so I kept an open mind and looked at synthetic rugs for our family room in addition to the usual suspects. 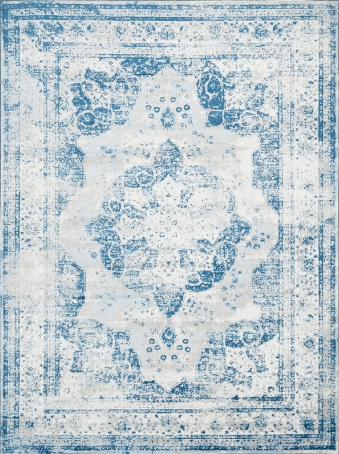 I was searching for 8’x10′-9’x12′ rugs, and considering synthetics opened up a whole new world of possibilities. 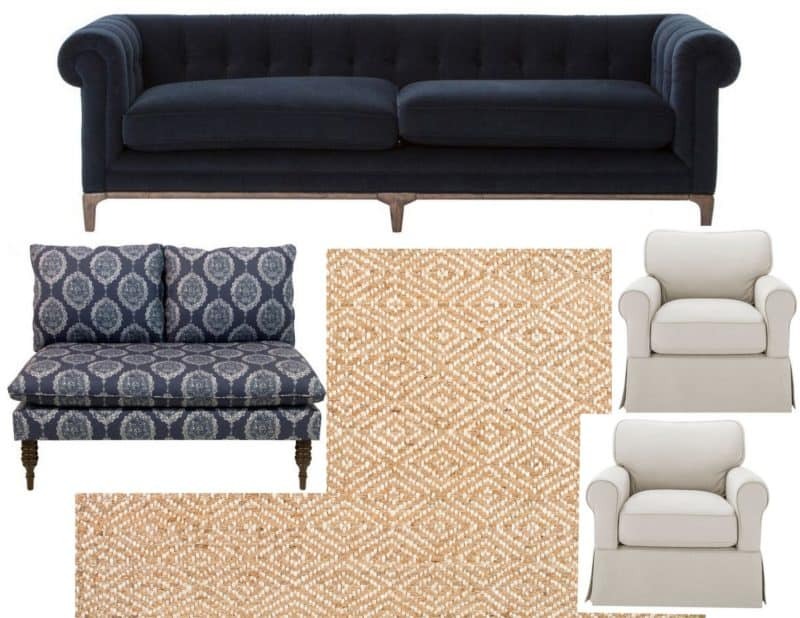 Here are some of the affordable rugs I auditioned, and the one that made the cut! I love all the vibrant rugs that are on the market! 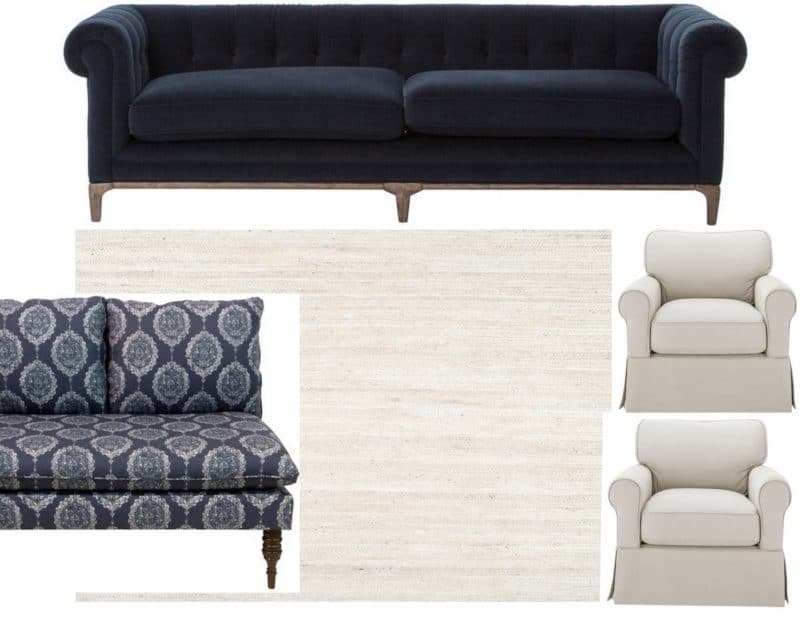 I just adore this one with our sofa and neutral chair possibilities, but not so much with the settee. 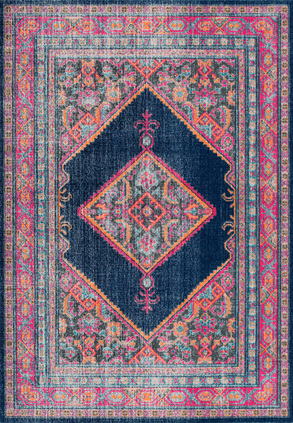 Love all the colors in this more traditional rug. 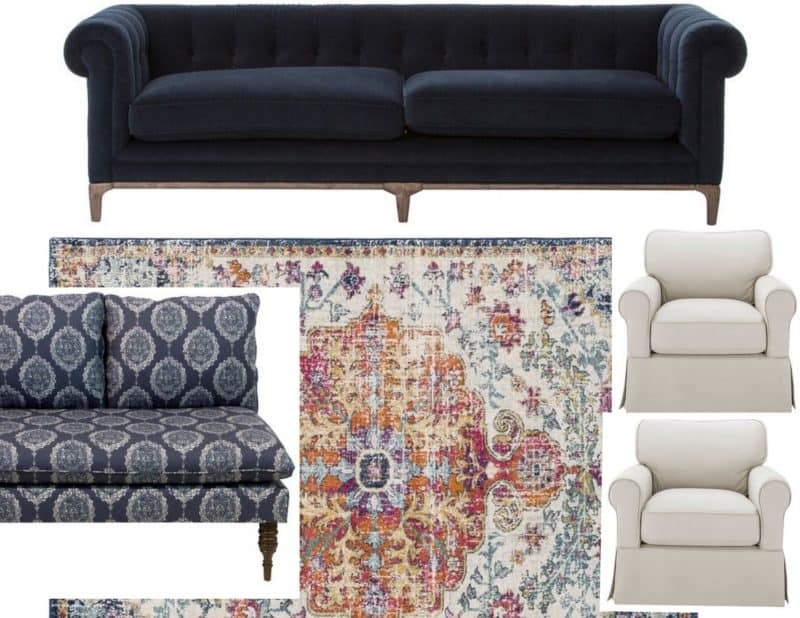 This is definitely more in line with the “coastal chic” vibe that I’m going for and relaxes the velvet chesterfield a bit. 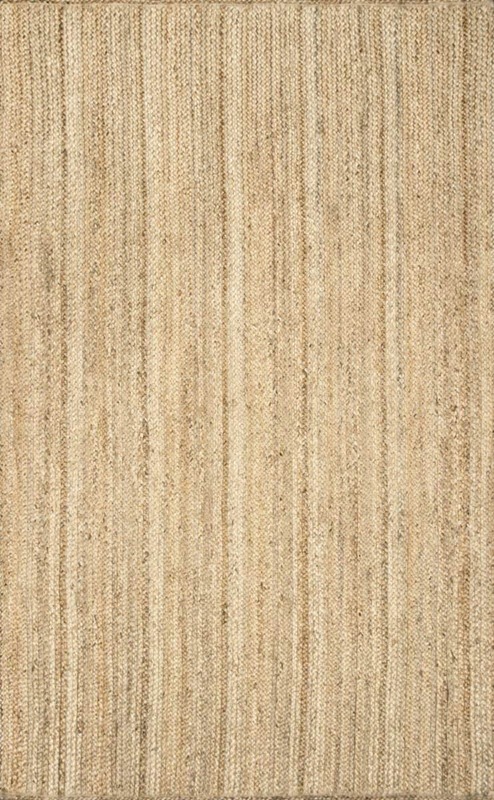 Another jute rug that is tightly woven and gets great reviews. 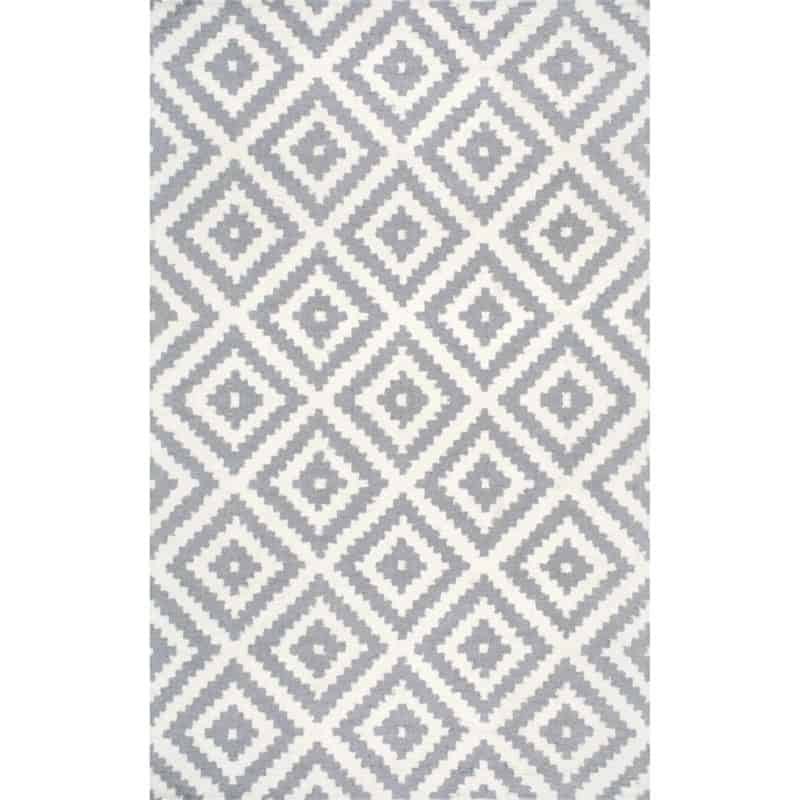 Brandt Tibetan Polypropylene Rug, 9’x12′ $132.99!! 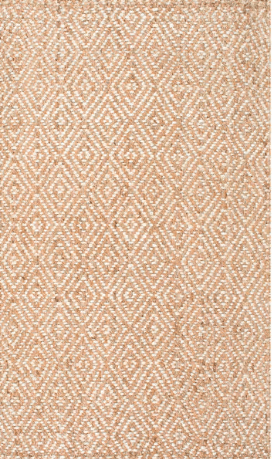 Last but not least, the basketweave seagrass rugs I have in both my living room and dining room. 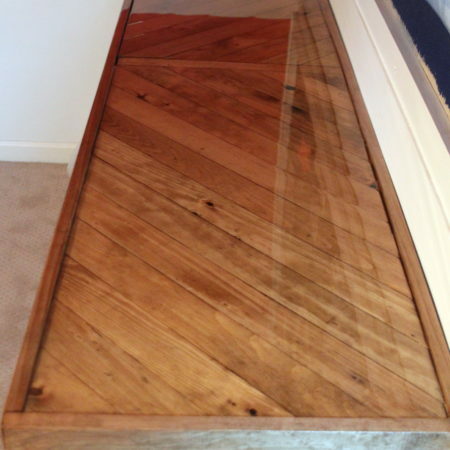 Seagrass is super durable, fantastic with traffic and cleans up so well (I’ve had red wine and red sauce spilled on ours and was able to get the stains out!) 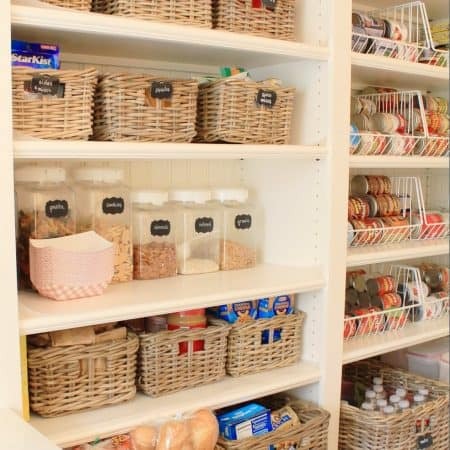 however they are NOT soft underfoot or for lying on for TV watching or playing games, so that is something to take into consideration, and the reason I didn’t go the seagrass route with our family room. I LOVE seagrass for the dining room, living room and our stairs though! 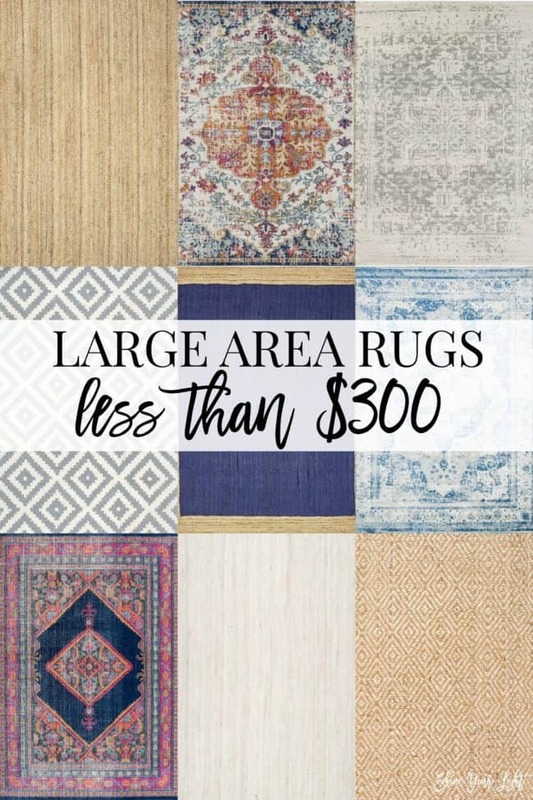 Synthetics do give you a lot of options, and natural fiber rugs are clearly also fantastic at stretching the budget, so if you need a big rug on a dime, I hope this little list helps to at least point you in the right direction. 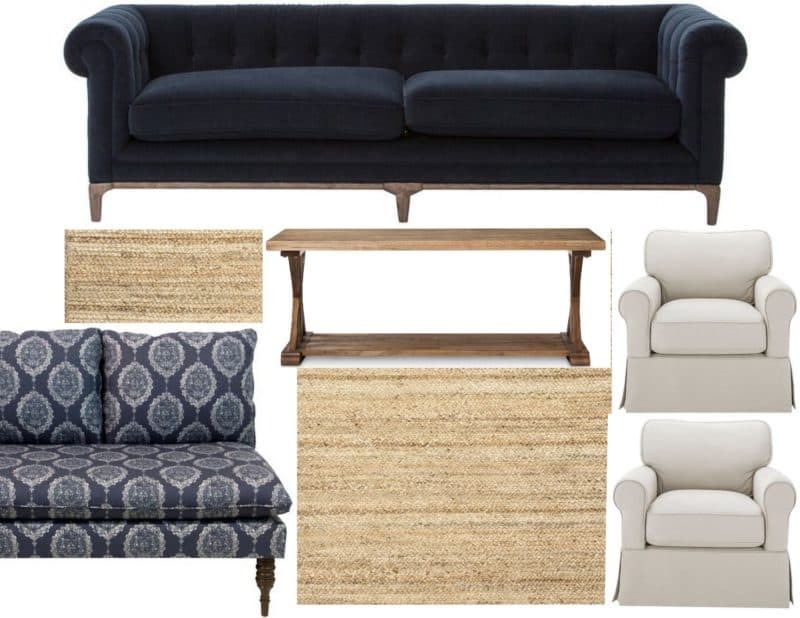 Any guesses on the one I picked for my One Room Challenge family room? If you guessed the one I would be most crazy to buy then you’d be right. 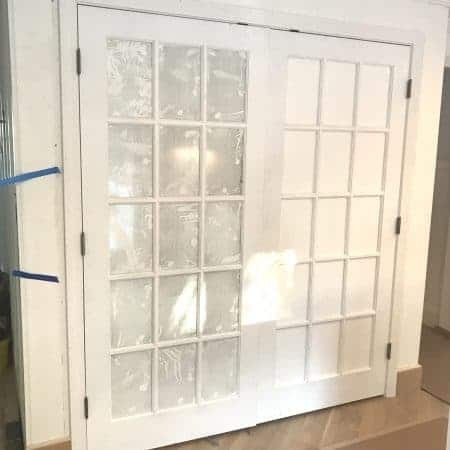 I’ll show you on Thursday along with an update on how the room is coming along. Thanks Stacy! I love those two also, especially the pink one! You know me so well Debbie!! 🙂 🙂 🙂 I’ll definitely need Oxi! But it’s also reversible so that’s a selling feature right there! 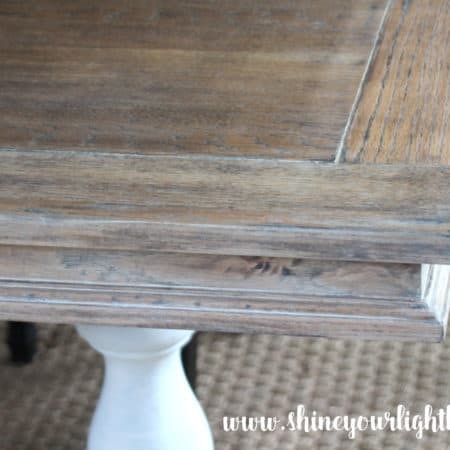 Do you have any suggestions for rug pads? I just bought one of the rugs you suggested above but it will definitely require a pad. It’s going in our dining room . It’s a high traffic walkway so i need a nonslip mat that can be easily and regularly vacuumed. Thanks in advance! Jill I’m happy you found one you liked! I do have some rug pad suggestions. You can go two ways – a simple rubber rug pad that keeps the rug from slipping, or a felt and rubber one that also gives a little cushion to the rug. I initially got my mom the simple rubber pad for her polypropylene rug but the rug IS very thin, so I eventually got a felt/rubber one and it’s a nice upgrade to the feel of walking on it. 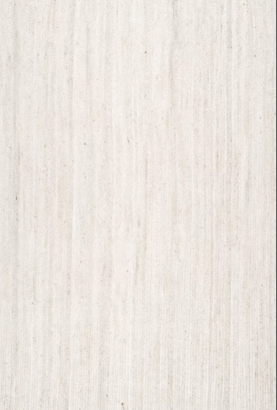 However, for jute rugs that tend to be a little loftier, the rubber pad is fine. I actually ordered a thin felt/rubber one for a jute rug just to make sure it’s nice and cushy for my kids who like to sit on the floor. There are a few linked in my Amazon shop here – the one I bought is called “Anchor Grip” and is 1/8″ thick. Hope this helps!! Can’t wait to see what you chose! 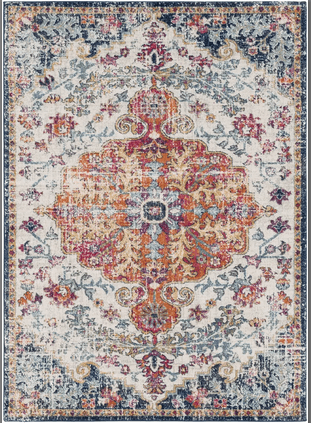 Regarding your parents’ rug, I have that exact one saved in my cart, but was hesitant because I keep thinking I want wool, plus I wanted to see it in person. (I also need a 10 x 14 for the family room.) I guess I should just order a small one to test it out in the room. And what a great price! all such great picks! i love that first one so much! Gorgeous choices Lisa! I particularly love the white one in your room!